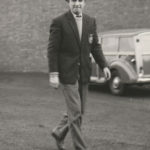 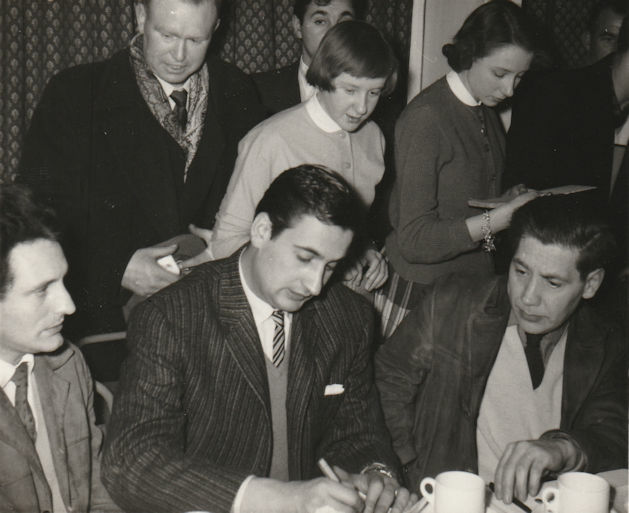 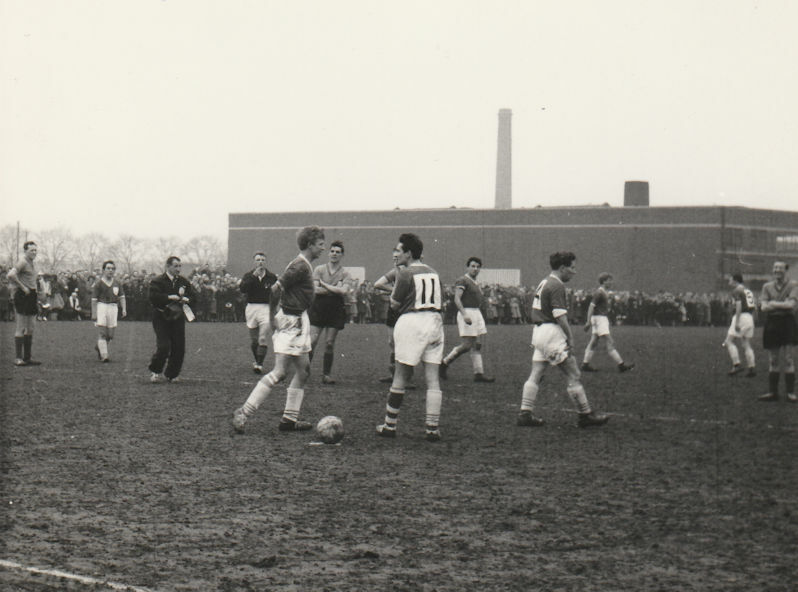 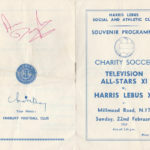 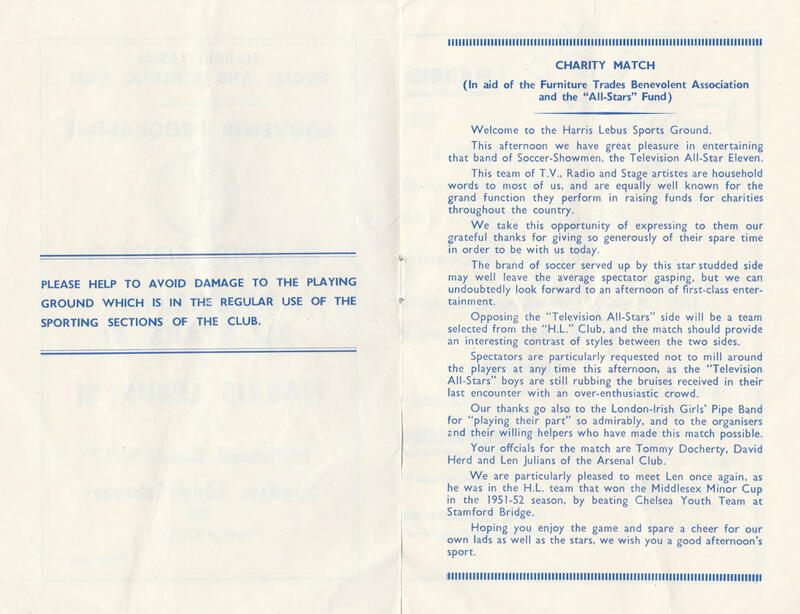 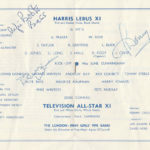 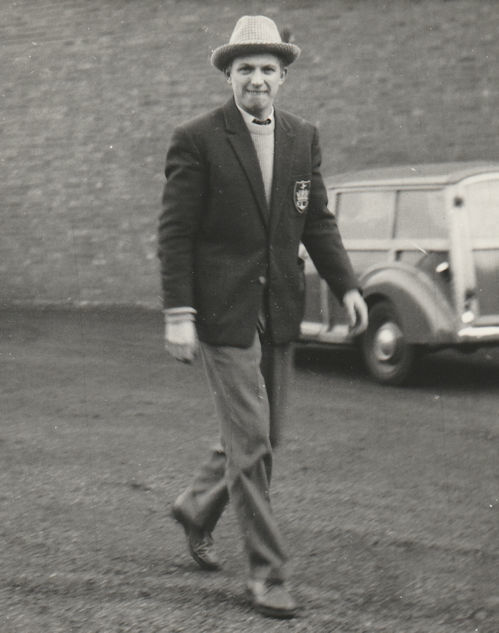 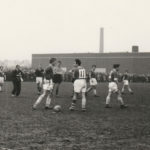 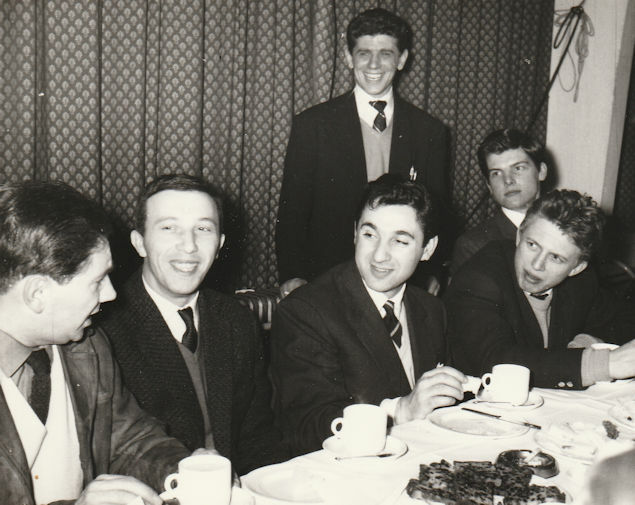 On Sunday 22 February 1959 The Television All-Star Eleven came to The Lebus sports ground. 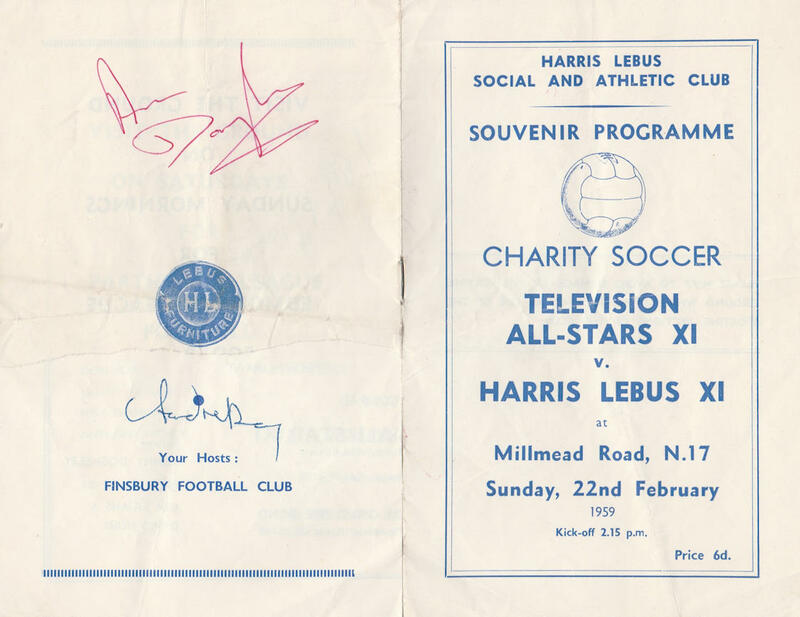 They played a charity match against selected players from the Harris Lebus sports team. 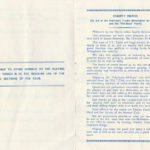 The London-Irish Girls’ pipe band were also in attendance to provide musical entertainment. 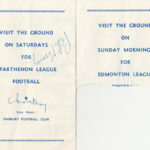 I can remember going to this football match and the tea afterwards. 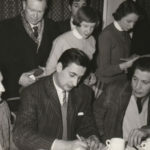 Unfortunately Miss Read (Dad’s secretary) sent me the wrong photos as they show the Brown sisters (I don’t know their names) and not me! 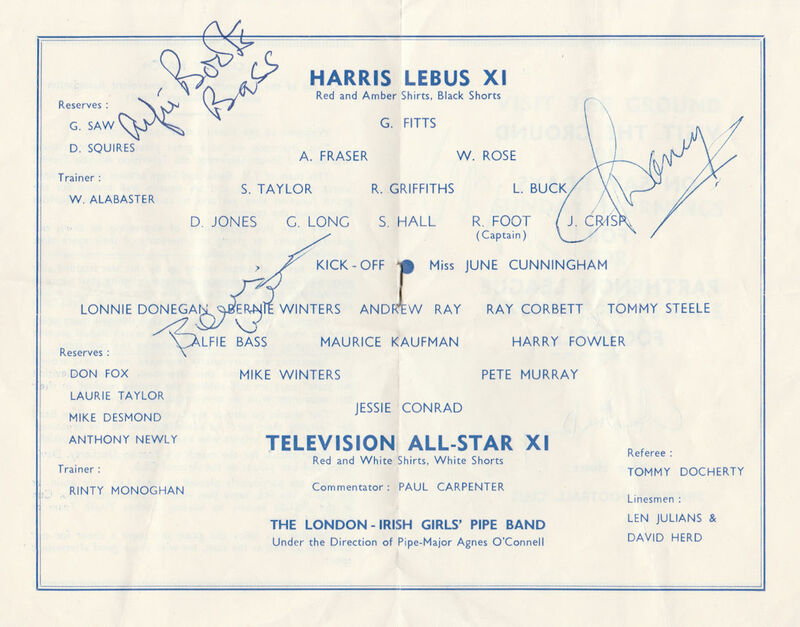 I did get the autograph of Tommy Steele but cut it out and put it in my autograph book. 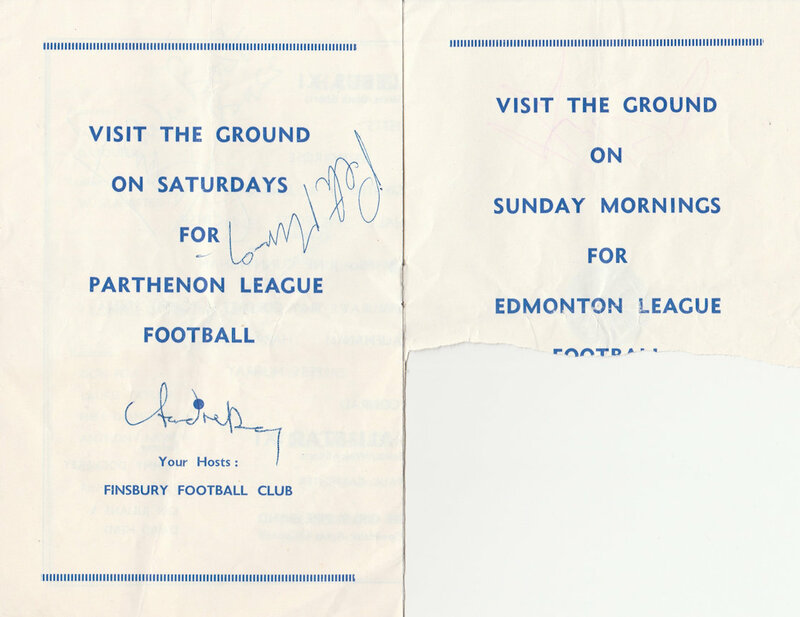 Hence the torn back page.